Under the auspices of Het Nieuwe Instituut, Malkit Shoshan has been appointed curator of the Dutch Pavilion at the 15th Venice Architecture Biennale in 2016. Shoshan, an architect and founder of the architecture think tank FAST, has been a fellow of Het Nieuwe Instituut for the past two years. Her on-going research into architecture in conflict areas fits neatly within the overarching theme for the 2016 Architecture Biennale: ‘Reporting from the Front’. In this edition of the biennale, director Alejandro Aravena is focusing on the need to provide growing numbers of people with accommodation and basic living conditions under increasingly difficult circumstances. He has identified frontlines around the world where creative architects can bring about a breakthrough in extremely complex urban issues, not least of all in places of military conflict. This issue is central to Malkit Shoshan’s research into the architecture of the United Nations’ peacekeeping missions. 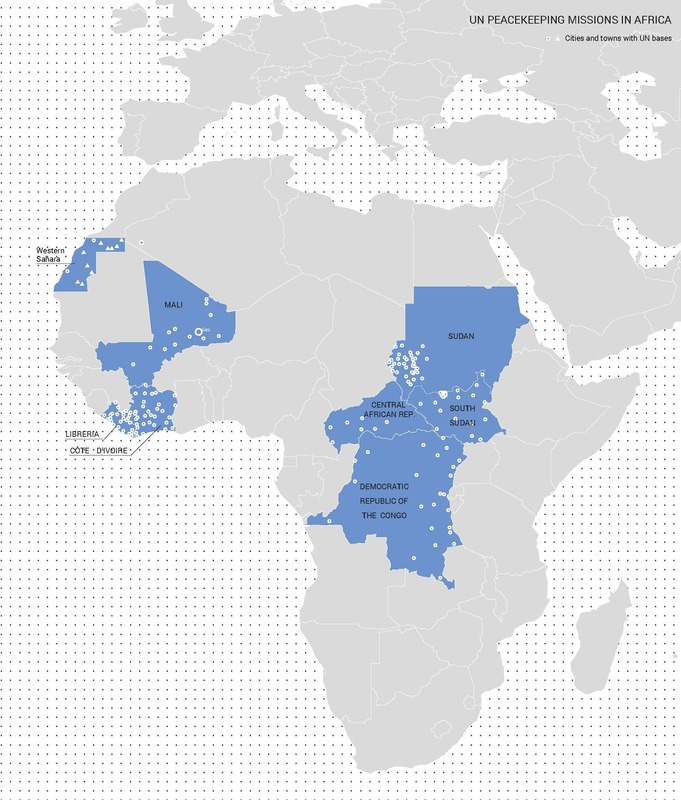 The United Nations has active peacekeeping missions in hundreds of sites around the world. The military bases are self-sustaining islands, shut off from their direct surroundings. The extreme design of these compounds mirrors the power structures and systems of the peacekeeping forces and makes no contribution to improving the lives of the inhabitants of these regions. The urgent need to reach new spatial solutions that can also have significance for local communities is an important motivation for her research. As research fellow at Het Nieuwe Instituut, Malkit Shoshan has focussed on the progressive way that the Netherlands contributes to UN peacekeeping missions. The United Nations itself talks in terms of ‘Guidelines for the Integrated Approach’, uniting Defence, Diplomacy, and Development. Shoshan proposes adding a fourth ‘D’ for Design. The ambition is to see the UN base not as a closed fort but as a catalyst for local development. The presentation in the Dutch Pavilion centres on the case study of Camp Castor in Gao, Mali, where the UN is carrying out a peacekeeping mission. The colour blue is used as a metaphor for the conflict, uniting architecture and human rights. The peacekeeping mission is located in the desert region of the Toeareg, known as ‘blue men’ because of their indigo clothing, and is carried out by UN Blue Helmets. In this nomadic region the borders are fluid and shift with the seasons; there is a state of permanent crisis due to war, climate change, sickness and hunger. The confrontation between different systems – foreign and local, military and civilian, settlement and desert, Blue Helmets and blue people, the crisis and the Dutch response – provides the prerequisites for new spatial conditions. By linking cultural research to architectural research, the Dutch submission to Venice aims to make visible the spatial challenges and opportunities of this complex situation. BLUE presents a new series of narratives for architecture in conflict areas, central to which is the potential to improve the lives of millions of people. These stories are based upon conversations with military engineers and architects, anthropologists and economists, activists and policy makers. Het Nieuwe Instituut is charged by the Ministry of Education, Culture and Science to manage the Netherlands’ contribution to the Venice Architecture Biennale. The relationship between the theme of the Architecture Biennale and the programming of Het Nieuwe Instituut is an important starting point in the choice of curator. The opportunity to acquaint a broad international audience with the critical and innovative potential of architecture during the biennale is fundamental to Het Nieuwe Instituut’s international policy.